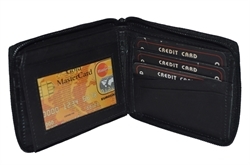 This wallet has a clear plastic window outside, so that you don't have to open the wallet to show your ID. 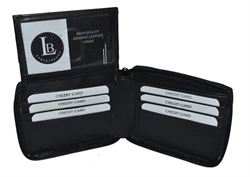 It has 6 clear vinyl slevve for credit cards which are sewn in and are secured by a snap closure. 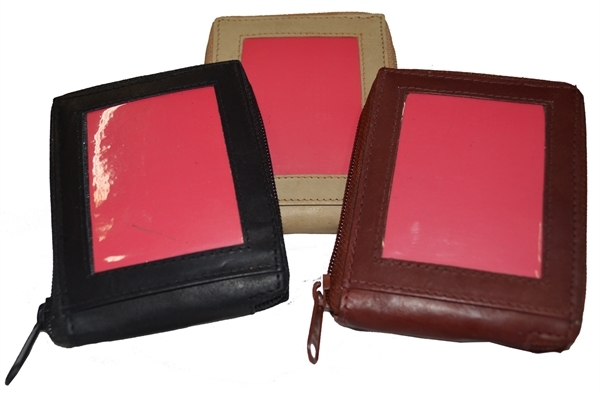 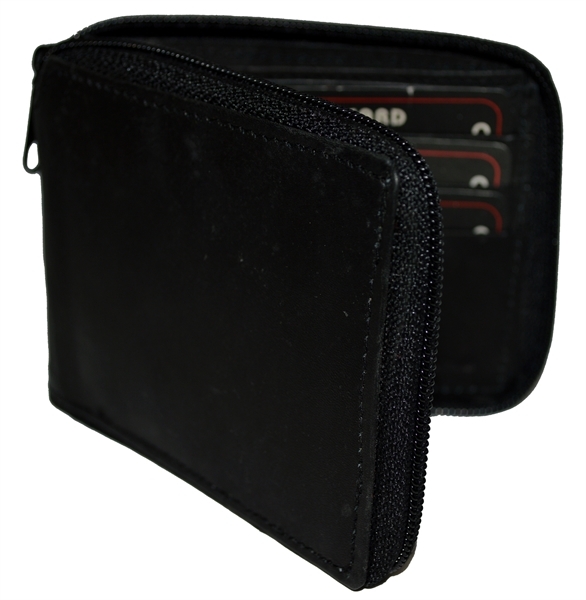 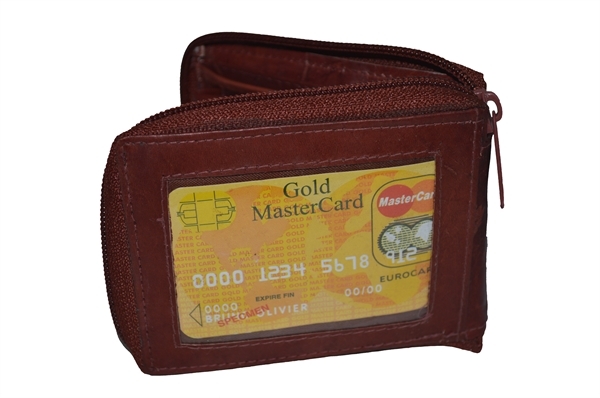 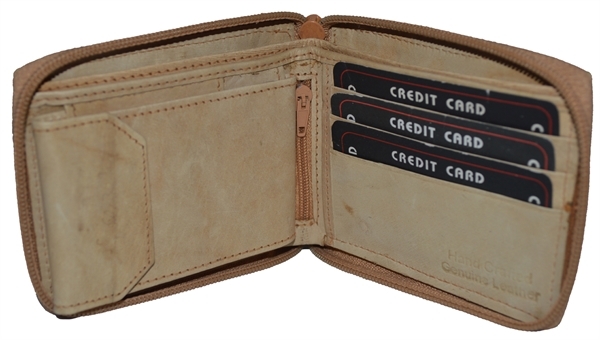 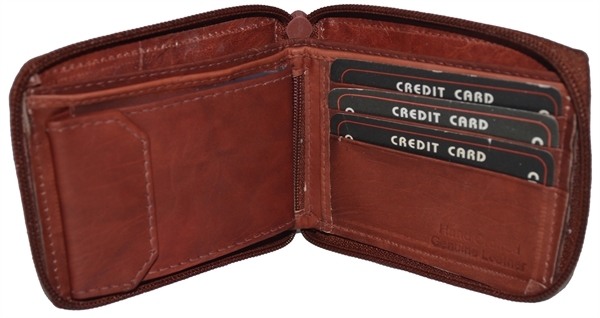 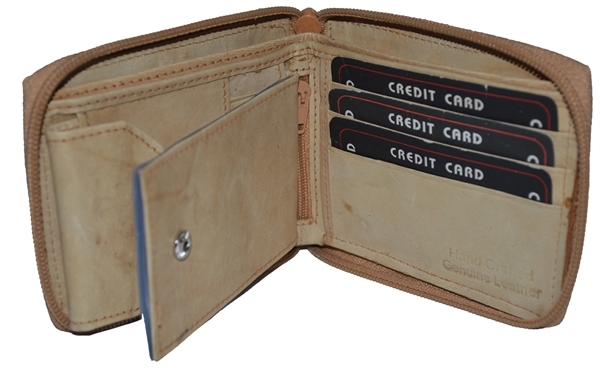 It has 3 credit card slots, a zipper pocket in the middle front and a full sized currency pocket with a divider in the back. 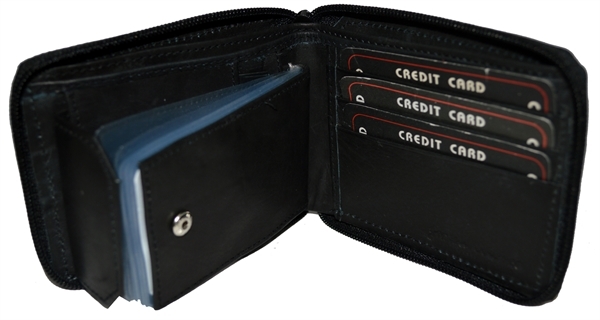 This wallet is approx. 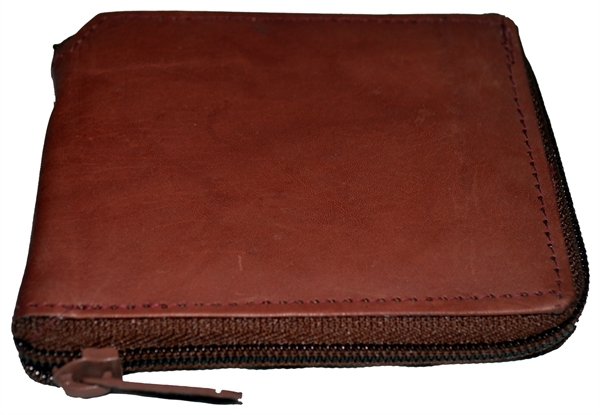 4.1/4 inches x 3.1/2 inches..